The good news: the global app market is on the move with gaming apps leading the pack. The not-so-good news: it’s a fiercely competitive and crowded space where companies have to make data-informed decisions at every stage of the app life-cycle. Whether you’re integrating game mechanics to make sure your game is a crowd-pleaser, mapping out mobile ad creatives to monetize your audiences or want to sharpen your strategy to acquire, engage and retain large numbers of players for your game, you need research and insights. We have both, thanks to the hard work of Nebojsha Mitrikeski, independent researcher and Game Director at Snowball Games. As a researcher, Neb has meticulously collected and collated app market data from several sources, including Apptopia, to determine the *real* winning games types and categories you need to know as you architect strategies to grow your footprint and fortunes. As the Game Director at Snowball Games, Neb candidly discusses plans for the soft launch of the company’s latest mobile game. It covers all the bases, combining a casual board game that includes dice, enhanced by collectible cards and incorporating mid-core leaning mechanics, including Live PvP and complex progression systems. Snowball Games is an indie games studio headquartered in Macedonia that brings together top-notch talent and UA expertise from studios including TabTale, Nordeus and Outfit7. The company’s main investor is the Seavus Group, an international software development and consulting firm active in the games space since 2012. With a ‘Who’s Who’ of experienced games industry developers and professionals at the helm (CEO Taner Selim, Creative Director Naum Mihajlovski and Art Director Tomi Dzurovski), it’s clear this is a company to watch. The mobile games market is a massive and monstrous marketplace that global games research firm Newzoo forecasts will become a $100 billion industry in 2021, up from $56 billion in 2017. Moreover, mobile revenues will account for more than 50% of the global games market as it grows to reach $137.9 billion this year. What are the key characteristics that ensure your game will rise to new heights and not end up on the heap? It’s a tough one to call, but Neb’s research highlights topline numbers and high-level trends that we can stitch together to get the right answers. Clearly, game mechanics are merging and morphing to create new opportunities. “We’re seeing more games that are applying mid-core mechanics to their casual games,” Neb explains. “So, they’re basically not casual games anymore.” An example is Homescapes, a match-3 that incorporates city builder mechanics, allowing players to construct and design houses and gardens. A review of Apptopia data underlines why this is a good move. Casual games incorporate mid-core mechanics because it’s good business and a great way to “build a games ecosystem” that benefits all shareholders. App companies produce a game that is complex enough to grab players’ attention (and a share of their wallet, if it’s an F2P monetization model) and players are treated to gameplay that is fresh, fun and challenging – but never too challenging. It’s not just a trend supported by the data; it’s a path Snowball plans to follow with its soft launch scheduled for September. The game, which pairs a “casual board game with dice, enhanced by additional systems that are not casual,” will be monetized by a mix of in-app purchases and advertising. Success starts with choosing the right game mechanics and features. 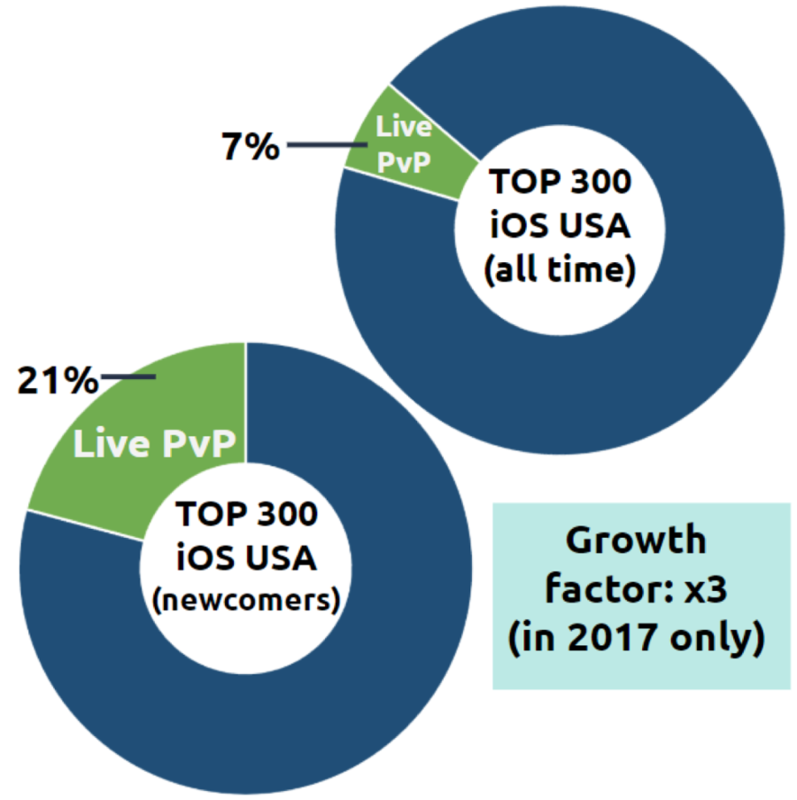 Neb draws from Apptopia data to map out the leading market trends, which include a massive shift to Live PvP gameplay. His analysis of top grossing games by newcomers reveals that over 20% of the games on both Apple App Store and Google Play featured Live PVP gameplay, compared with 7% among the top grossing games of all time. This, Neb observes, “demonstrates that mid-core leaning game elements aren’t just possible, they’ve already proven themselves all over the top grossing charts.” It’s a trend that continues, suggesting games with Live PVP will “outperform their peers this year and going into the next one.” Other elements gaining traction, and paving the way for deeper-funnel engagement and actions, are Levels Progression Systems and Collectable Ecosystems. Mechanics are driving users deeper in the funnel. 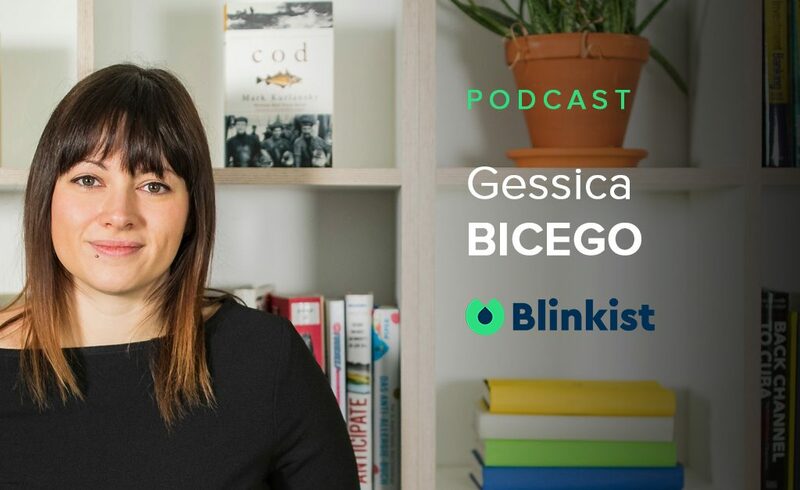 It follows that games companies need deeper insights into the actions they take and the competition they face as they develop strategies to motivate and monetize audiences that are hooked. 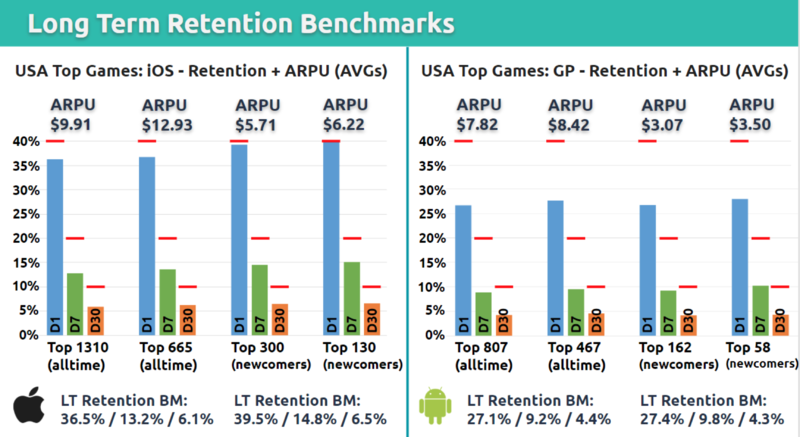 Neb’s analysis of Apptopia data reveals long-term benchmarks that help app companies understand if they have a hit game on their hands. “This is essential if you want to gauge real performance and real chances of long-term success.” For example, he explains, if you’re seeing roughly 27% Day One long-term retention on Android instead of the 40% industry standard number, there’s no reason for panic–if your D30 ARPU is stronger than $3,” he explains. “As we can see, the top performing games have ARPUs ranging from $3 to $13 even without the standard 40/20/10 retention numbers” The bottom line: Neb lifts the lid on highly valuable data that allows app companies and marketers to plan with high confidence. Neb’s analysis also highlights the pivotal importance of engagement. It’s the metric that all-time top grossing games appear to have nailed, and it’s the metric that newcomer games have yet grasp. “The newcomers struggle to reach 50%, and this is normal,” Neb says. “They’re new and they haven’t had the time to gain loyal users.” Notably, the MAU in the lower tier of the top performing iOS games is equal to the DAU in the upper tier of the top performing iOS games. It’s this that gives them the edge, allowing them to earn more because they engage more.